1 CEU available for this webinar. You’ve hired a rockstar coder to improve your bottom line. You’ve done your homework and found someone with knowledge, initiative, critical thinking skills and precise communication. Regardless of their excellent skills, how can you be sure that this amazing coder-who sat before you in an interview and wowed you with his or her experience and expertise-will increase your bottom line without increasing your risk to insurance carriers? 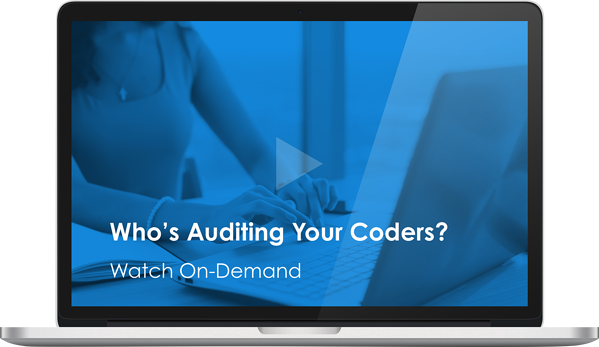 Every coder, no matter how experienced, will need help at some point to navigate the tricky and ever-changing terrain of the CPT book and payer policy. Purely from a business perspective, your practice needs to operate at its financial best so you can stay afloat and your providers can focus on enhancing patient care and outcomes. But how do you achieve this in your already busy week? Need CEUs? You can purchase a CEU for this webinar for $30 by filling out the form below and following the instructions on the next page. No thanks? No problem. You can watch for free, as always. Filling out the form below will allow you to watch the on-demand webinar for free. On the next page you will then have the option to purchase a CEU for $30. Note: You will receive your CEU in a separate email after you watch the webinar in its entirety. You will have the option to purchase a CEU on the next page.